If you’re wondering how to get a discount healthcare plan, our team has you covered. Learn about how to cut the amount you spend on insurance today. 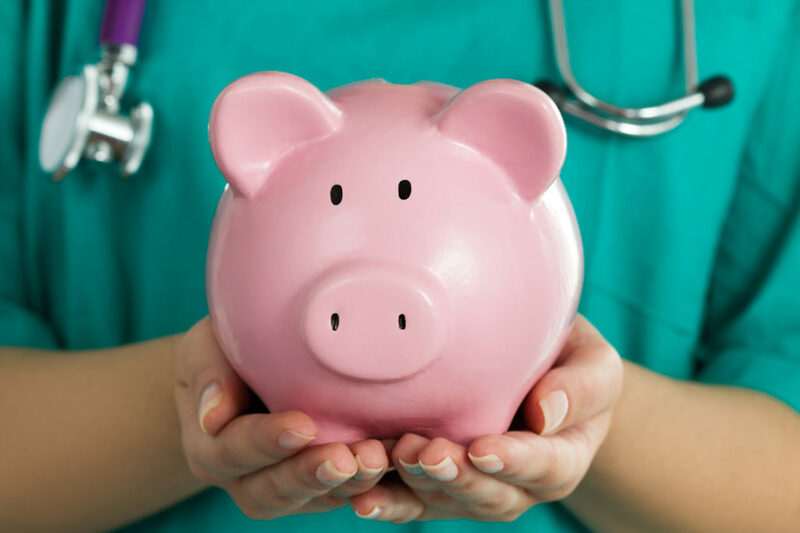 Did you know that the leading cause of bankruptcy in the U.S. is medical bills? It’s sad but true. In fact, of all the uninsured Americans out there, many will lose all their savings due to healthcare costs. But how can you get the cheapest health insurance? Is it even possible? Yes, it is. Read on to learn how to find a discount healthcare plan that will work for your needs. There’s no use comparing prices on healthcare plans if you don’t know what terms lie coinsurance, deductibles, and out-of-pocket limits mean. There is a lot of jargon used in healthcare plans. Before you start comparing health insurance quotes, get a handle on what the terms mean. That way, you can understand exactly what each plan is offering you. You will be less likely to choose one that has an exclusion that leaves you paying more than your expected. Or not getting the coverage you need. Doing your research will probably save you more money than if you just choose the plan with the cheapest monthly cost. Next, try to see if you or someone in your family is eligible for healthcare insurance subsidies. If you qualify, a federally-subsidized plan is a great way to get inexpensive health insurance. Programs like Medicare, Medicaid, and the Children’s Health Insurance Program are all avenues that people can use to get discount healthcare plans. Medicare is for people over the age of 65. Medicaid is for individuals and families with low income. The Children’s Health Insurance Program assists children who can’t afford insurance but don’t qualify for Medicaid. Sometimes, families of these children are able to get coverage through CHIP as well. If you’re under the age of 26, you can stay on your parents’ health insurance plan. It doesn’t matter if you live at home or not. Even married people under 26 can take advantage of this service. Find out how much extra it would be to add you to your parents’ plan. Then you can pay your parents your portion each month. Chances are, they’ll be more forgiving than your landlord if you’re a little late in paying. Just make sure to check that your parents’ insurance provider has an in-network care providers where you live. If not, the out-of-network costs can make eat up any of the potential savings you would have gotten by being on their plan. You can also be thrifty in where you buy your prescription medication. Canada drugs are often more economical for Americans. If your biggest concern is the monthly premium, a high-deductible plan might be your best bet, especially if you don’t expect to use your health plan a great deal. High-deductible plans are sometimes referred to as catastrophic plans. Basically, you’d only use them if you had a serious need. You are eligible for these plans if you’re under 30 years old or if you’re over 30 and get a hardship exemption. For example, if you recently went through bankruptcy, you’re experiencing homelessness, and so on. These plans allow you to have three medical visits each year and cover your prescriptions. Anything outside of that will require you to pay out of pocket unless it reaches a high deductible (around $7,000). You should only consider these types of discount healthcare plans if you’re young and healthy. If you’re strapped for cash and you want some kind of coverage, this may be a good solution. People who could require more healthcare will end up paying large sums out of pocket before reaching the deductible. One way that you can get cheap health insurance is by going directly through an insurance company. Many of them offer a variety of policies on their websites that you can apply for online. You don’t need to go through the state exchanges this way, and you could save money. Make sure you do your research and compare insurance policies. There’s no built-in comparison table in this method. So you have to do the legwork to find a plan that is most affordable. If you don’t have the time or skills to research all the different plans for each company, buy through an independent agent. These experts can help you choose a plan from a list of options. Make sure you select an independent agent. These agents, also known as brokers, work with several insurance companies. Captive agents on the other hand, only work for one insurance company, so they can only offer you a limited number of options. You won’t be able to compare enough plans to make sure you’re getting the best deal. On the other hand, if you know you want to buy insurance from a specific company, a captive agent will have in-depth knowledge of the company’s plans. These agents will be better able to help you in choosing a plan from that company. There are a wide variety of online insurance finders. These sites will offer you several options that you can choose from. They often display plans that aren’t shown in your state marketplace. The best thing about this method is that you can do it from home and don’t have to sit down and meet with an agent. And you can easily compare various plans to choose the best one for you. Remember to read the fine print so that you know exactly what is covered. Thanks for reading. We hope that you found this guide on discount healthcare plans helpful. Remember, it’s crucial that you carefully read through the fine print of all plans. You don’t want to sign up for one that isn’t what you need or will cost you more in the long run. Next, check out these best habits for living a long, healthy life!